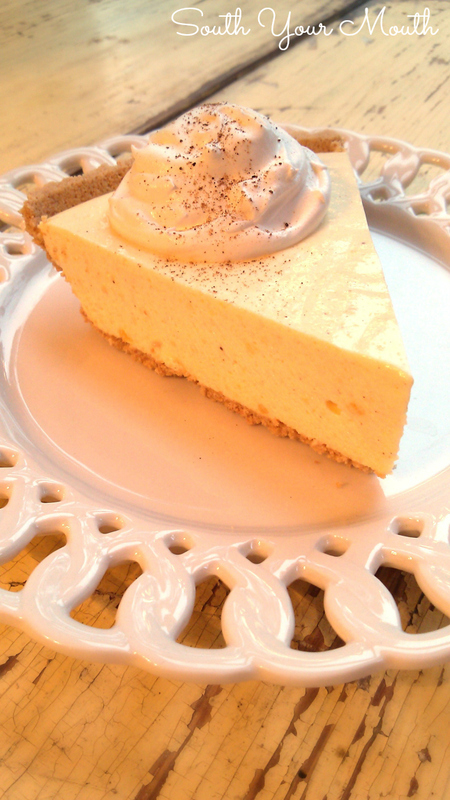 This super easy recipe uses real eggnog and sets up like a no-bake cheesecake. This is a must-have for your Christmas dessert table! When I start seeing eggnog in the store I know it’s Christmastime! I buy it up as soon as it hits the shelf! I love to put it in my coffee, heat it up like hot cocoa, drink it with a splash of spiced rum or just have it straight up. I love it! This weekend I decided to make a pie with it! This recipe makes two pies but you can easily reduce it by half to just make one. The pie freezes beautifully so you might as well go ahead and make two! Throw that other one in the freezer and pull it out to take to the neighborhood Christmas party or serve on New Year’s. Add pudding mix and nutmeg to a large mixing bowl or stand mixer. Pour in eggnog and mix on low speed of an electric mixer for 2 minutes. Fold in half of the cool whip until well combined. Pour mixture evenly into graham cracker crusts. Cover and refrigerate 6 hours or until set. Serve with remaining cool whip. Garnish with a dusting of nutmeg if desired. I also absolutely love egg nog and can't wait to try you pie recipe, thanks! I think I'll make this as a "spoonable " in a 9x13 dish and share with my fellow teachers for a carry-in! What on earth is cool whip? We don't have anything named this in Australia - what can I use as a substitute? Use Heavy Whipping Cream and blend until fluffy. Cool Whip is a brand of imitation whipped cream. You buy it frozen and let it thaw to use it. If I use real whipping cream, will it hold up if I freeze it? Really good! And so easy! I found this just in time for a department luncheon at work. Sounds delish, and I can't wait to share it with my co-workers. I made this for Xmas and it didn't settle, do u have any suggestions? Couldn't work without cool whip/whipped cream? I've found that if I "whip" cool whip in a recipe it can separate. If you used a beater to mix the cool whip into the pudding this may have happened. If you want to try again, follow the recipe and just "fold" the cool whip in, don't beat it in. Can I use eggnog that has had Rum added? I'm going to have to experience this and then experiment. I used to make a no-bake cheesecake. 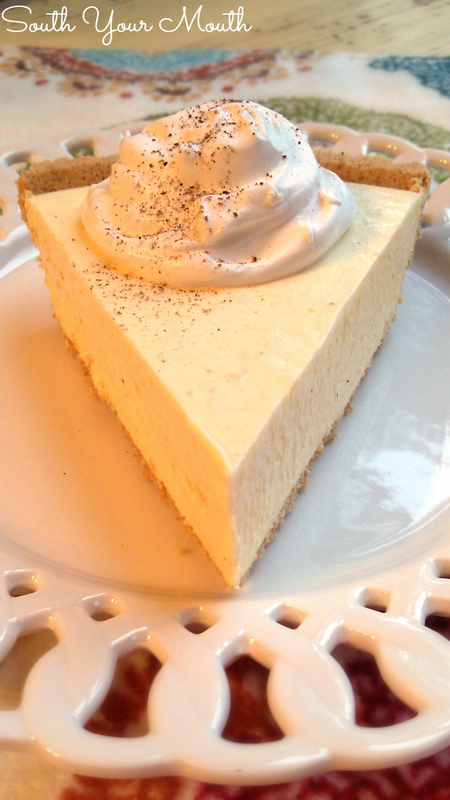 Thinking now of making a n-b eggnog cheesecake. Will get back on that. Thanks for posting this recipe. I want to confirm before I try. There is no sugar in the recipe, isn't there? There is no added sugar (it is sweetened from the pudding mixes). I want to know how much 35% Liquid whipping cream,(it comes in a carton in canada)should I need to whip up to equal or replace the 12oz tub of cool whip.look forward to hearing from you with the answer.Thank You !!! I'm sorry but I don't have any idea how to work that out.